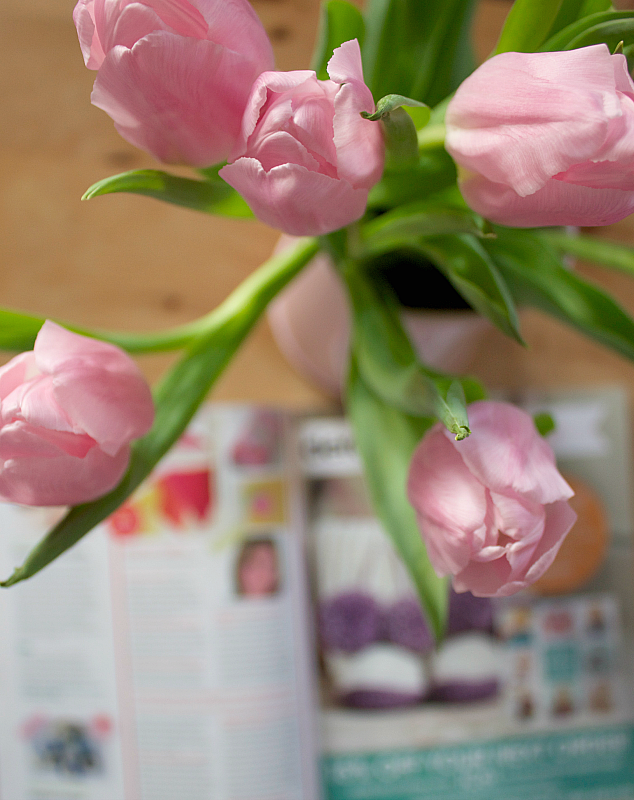 Would you mind awfully if I did a little blog-related housekeeping? There are a couple of things I'd like to tell you; none of which I want to dedicate an entire post to. 1. 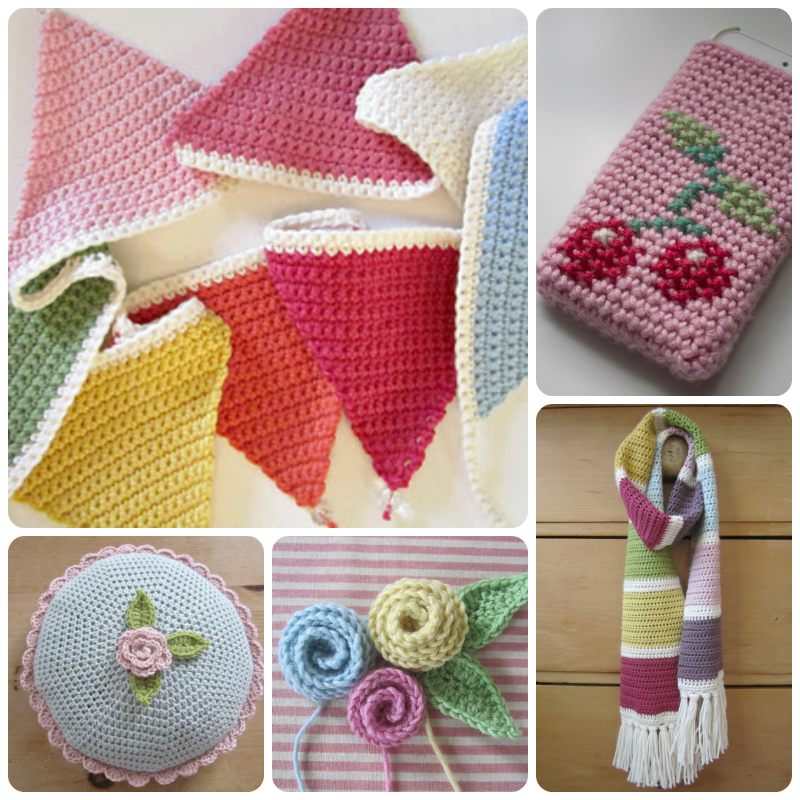 Crochet Patterns. I've had to do a fair bit of investigation into the ridiculous new VAT legislation that came into force at the beginning of this year and then in turn have a jolly good think about how to proceed, if at all, with regard to selling my crochet patterns. If I'm honest, it's been preying on my mind a bit over Christmas. I have detailed the new requirements (as I understand them) at the bottom of this post if you're interested. 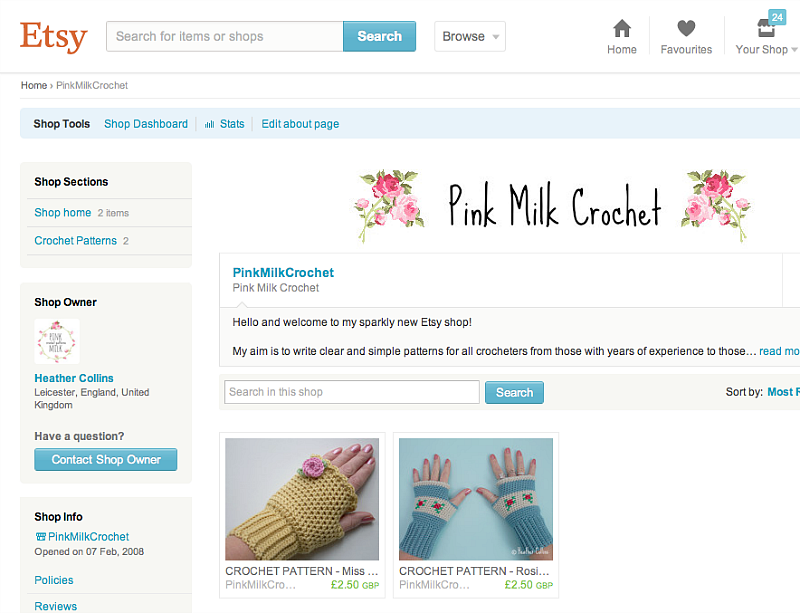 All sellers of downloadable crochet, knitting, sewing patterns, etc. are affected. However unfair and impractical it is, failure to comply will mean we are breaking the law. Marvellous. Anyway, long story short, I've decided not to give up. I think I have found the most workable solution for me. I will continue to write and sell my patterns but, rather than automatic downloads, they will be sent as manually emailed documents (which are not included in the new legislation). It's not ideal but as far as I can see it's the best way to proceed. Looking on the bright side, I rather like the personal touch. Phew. 2. Facebook. 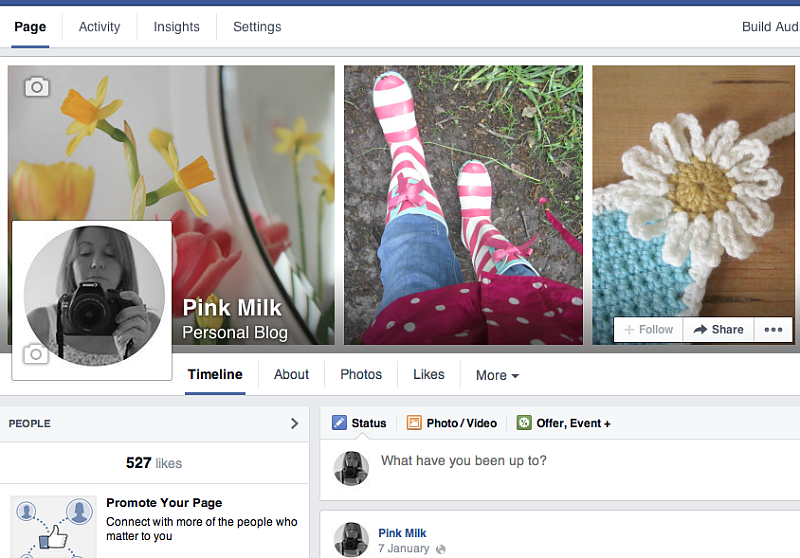 While I'm in self-promotion mode, I'd love to remind you that I am now on Facebook. I'm always happy to chat so do pop by if you're in the vicinity! I had all the above colours in my accumulated stash and am afraid didn't make a note of the yardage I used. If you were to go and purchase the yarn specifically for this project, it would prove to be quite expensive so I would recommend either using any double knit yarn you already have or perhaps using fewer colours. I would like to think (and I am guessing here) that each stripe is approximately a third of a 50g ball of yarn. You could opt for a four colour stripe repeat. I think it would look just as pretty, don't you? "VAT on digital services will be paid in the consumer's country, not the supplier's country. It will be charged at the rate that applies in the consumer's country." At first sight, it probably seems very simple but the ramifications for someone like me are huge. ♥ Unlike every other type of business, there is no VAT threshold so I am liable whether I sell one crochet pattern or a thousand. ♥ I will have to register for VAT in each of the 28 EU countries. ♥ If you live in an EU country, outside the UK, and you purchase a crochet pattern from me, I will have to calculate your country's rate of VAT (they all vary), add it to your purchase price, generate and provide you with a VAT receipt and then pay your government accordingly. ♥ I will have to keep meticulous records and submit a detailed VAT return every three months. At the moment, sales to UK and non-EU residents remain unaffected. Congrats on the magazine, also good here you have found a way around the pesky vat rules. Love your scarf so much and your outfit in that picture too. Will be checking out Zara now as that is just the jumper I've been looking for! ;) Glad you are staying open and thank goodness Etsy offers you a way round the whole mess. I really, really hope they see sense on this! Beautiful scarf, and a congratulations in magazine article even though I said that on IG. On the crochet pattern subject... I had been thinking of selling some myself. The best way I can see for me is Ravelry, who according to the email i got yesterday are teaming up with Loveknitting for a solution... didn't realise manual email sends were not included. Hmm. Hello and a cheery New Year to you. Foof, these new cobblers-ish rules are such a headache for so many friends. So glad you've decided to persevere. What a scarf you made. Those muted colours! Hi! 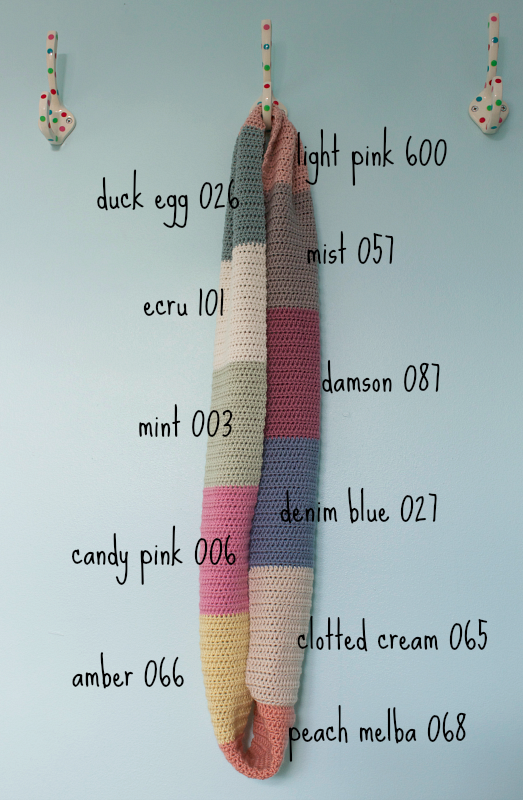 First time on your blog and I love it :) Beautiful infinity scarf and yummy colours! I love the scarf! 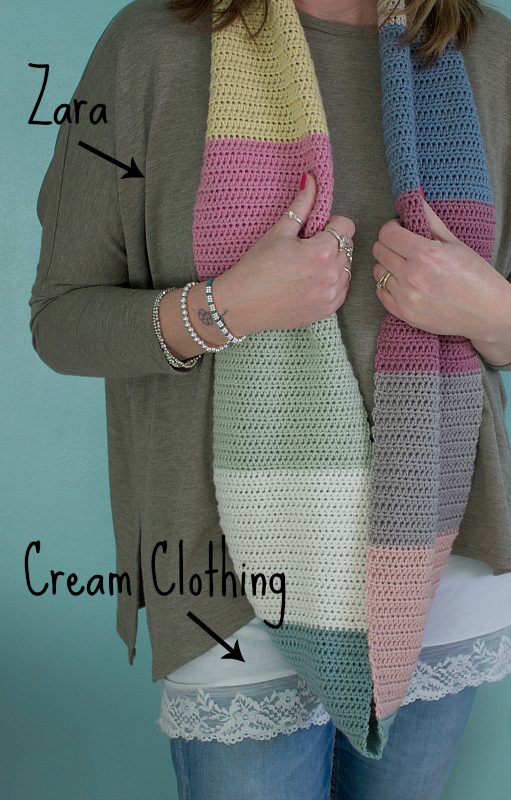 I crochet scarves year-round, so I could probably give scarves away daily and never reach rock-bottom! I also found you on Facebook and liked your page. Hope your way to avoid that tax goes well for you and other crafters. I'm surprised the US hasn't done that. Fingers crossed, eh?